Why Partnerships? | "Northern Crossings"
It has taken us a while but we are starting to figure out that we can do things better if we form partnerships. The purpose of this little blog site is show the partnerships that have formed and to give some recognition and awareness of the myriad of mercy/human care projects the people of the Lutheran Church Missouri Synod do every day that most people will never hear about. I am in correspondence with First Lutheran Church in Grand Rapids Minn. They are doing a mission trip to Uganda. I’m not sure if they are working with one of our partners or not, but I would sure like them to be in partnership with us. The picture below is a graphic example of what a partnership looks like in real life. 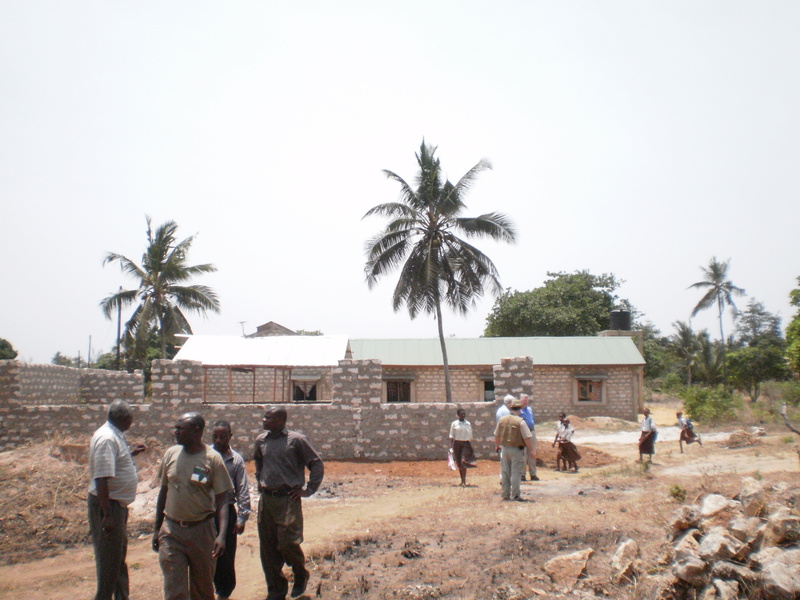 This is the rescue center (Project 24) in Ukunda where the Ukunda tree supplied the beds. Project 24 partners with LCMS World Relief and Human Care. These two partnered with the Evangelical Lutheran Church of Kenya – the large man in the foreground is Bishop Obare of the ELCK. The ELCK in Kenya also partners with DCM Kenya (Diakonate Compassionate Care) – the gentlemen with the brown tee – shirt and the pocket protector is David Chu Chu the director of DCM Kenya. DCM Kenya locates and identifies children at risk and in need of help. All of these partner with a local congregation. The Ukunda Pastors are the remaining gentlemen in the foreground. They find a site and make the arrangements for children by partnering with a local school where available or supplying the school themselves. The children in the background are coming back from classes at a school about 1/4 a mile away. So far we have a building for the children, a school for the children, spiritual care and Lutheran education for the children, but we have no money to feed or clothe the children. That is where the white haired man in the middle distance with his face hidden comes in, a member of the Boad of Directors of Concordia Lutheran Mission in Pittsburgh PA. They have a program called 1001 Orphans tha supplies the orphan support. Rev Fondow the man in the blue shirt is the President of the Minnesota North District who is very interested in a rescue center and some other projects in Kenya. Here are representatives of all the "partners" in a rescue center. Conviction and Mission – do individuals have a place?